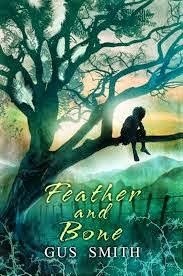 Feather and Bone by Gus Smith is available at Amazon and Barnes and Noble. Ben Baldwin did the amazing cover art for the Kindle version of this book! Isabel doesn’t speak to people, but she speaks to animals all the time. She knows what forces are at work on the Northumberland moors but she doesn’t understand them. And what can she do? She’s only seven. Alison Rigg, rising star of the Ministry of Agriculture, Fisheries and Food, is in Northumberland to investigate reports of BSE where no BSE should be. Now her body has been found lying by a stream. She is still alive but her soul has fled, no one knows where. And a dark force that no one dares name is on the move, reaching into the lives of this small community and tearing it apart. Gus Smith’s dark fantasy mixes the look and feel, the light and air of the Northumberland moors with a force of evil that hits you like a slap in the face. He tells his story with the rhythm and plausibility of a folk tale. Horror that's hard to classify - new age elements come up against old folklore, modern agrarian problems oppose old farm custom, modern medicine and technology vie with old home remedies, and all of it is entwined with age-old issues such as child abuse, poverty, homosexuality, retirement, and the paparazzi. This book comes to America from across the pond - some of the issues, like BSE (Mad Cow Disease), are more prevalent in the UK than in the US. At times, the story feels cluttered, especially when you take into account the number of characters and plot threads. I kept telling myself, this is horror - there are so many people because Mr. Smith has to kill some of them off. And he did. In the end, the plot threads come together to signify the transitional state of our world (our reality). I was asked to read this book in exchange for a review and I'm glad I accepted because, at times, the story was vaguely reminiscent of Terry Pratchett's Tiffany Aching series - albeit, designed for an older audience not turned off by gore. I adore Tiffany Aching and I love gore so, win-win.